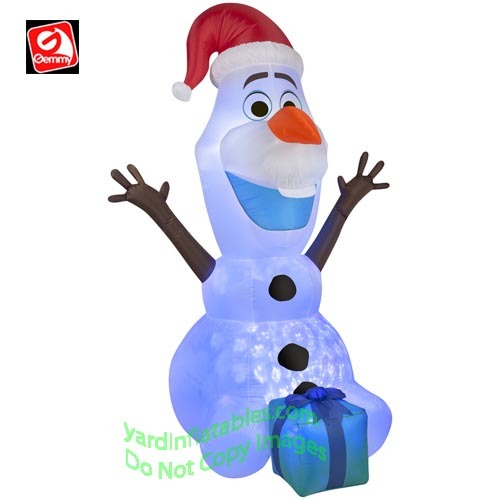 KALEIDOSCOPE Olaf the Snowman from Disney's Frozen! Olaf is in the Christmas spirit wearing his Santa hat and present! 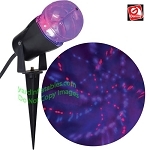 This inflatable comes with an internal KALEIDOSCOPE spot light fixture that shines on the inflatable to make a cool effect. LOOKS GREAT DAY OR NIGHT! 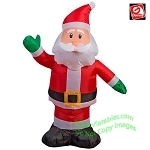 You just stake it down, plug it in and watch it inflate! It comes with stakes and tethers for quick and easy set up, and collapses down for off-season storage.